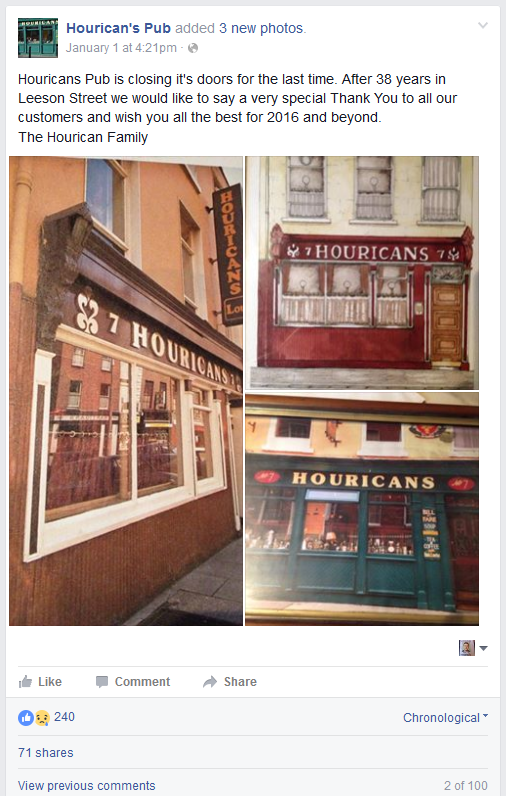 We were extremely surprised to be told this month that Houricans pub on Leeson street has closed. 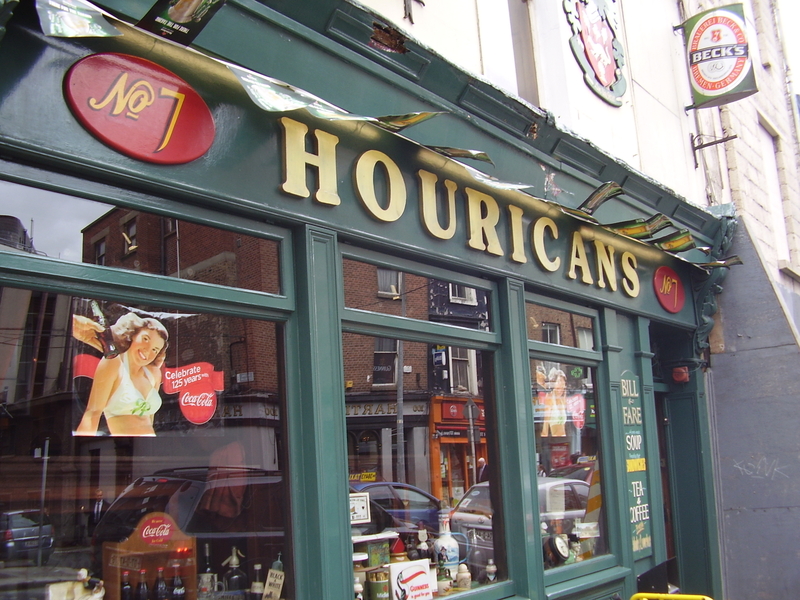 The pub had been operated by the Hourican family for 38 years, making it a fixture on the street and of patrons of the area. It had retained its traditional decoration and feel, making it a very warm place to go on a street where a lot has changed. It was a great place to go for a pint and a toastie, and there was always a good welcome at the bar. 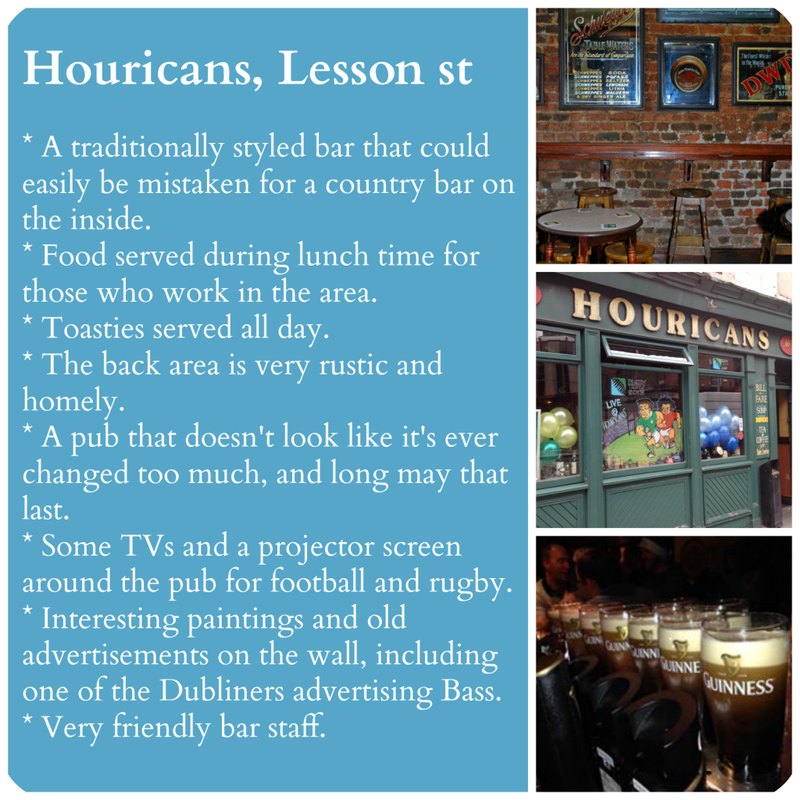 We did a ‘Pub in a picture’ short description of the pub only last year. The family released a very brief statement on facebook announcing the closure on January 1st. We’re not sure what will happen next with the site. 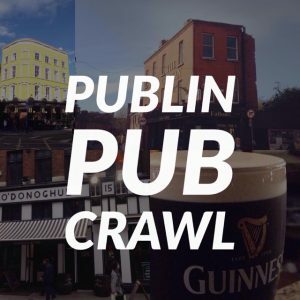 We check Morrisseys and CBRE, the two most popular estate agents for pub sales and there was no mention of the sale there. We do hope it remains a pub and that the feel of the place is kept. 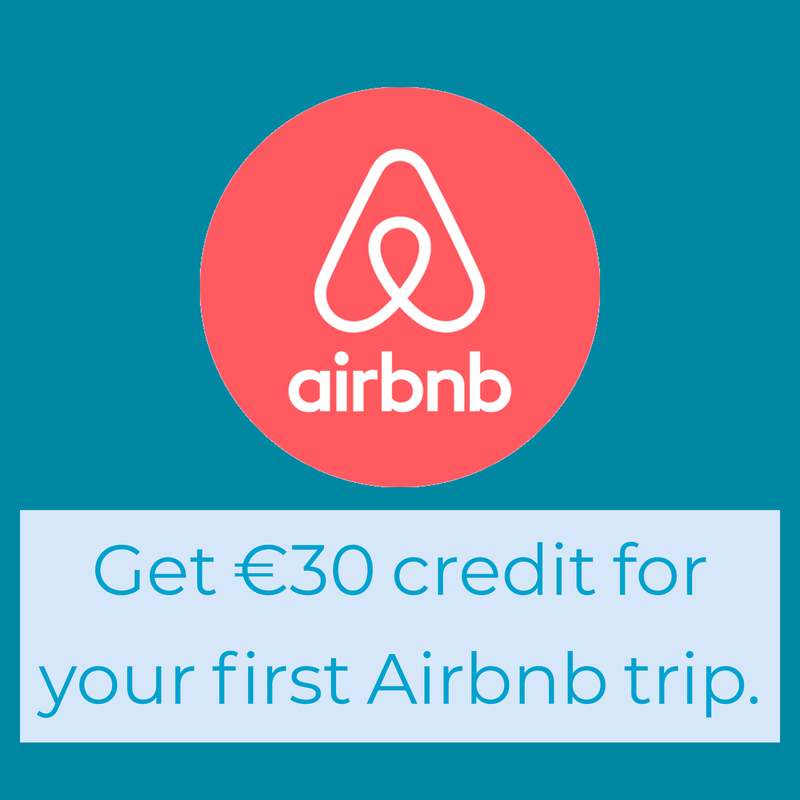 The number of traditional pubs in the city is increasingly shrinking. 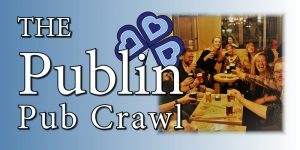 Edit: We’ve been told that the pub has been sold for development purposes. Unfortunately, that means the pub has come to an end. Pat and Mary, the owners, have retired from the business. I’m sure we’d all like to thank them for their many years of providing an excellent watering hole in the city.